8 voyageurs consultent actuellement cet établissement. Vous souhaitez poser une question à l'établissement Baan Aom Kod Kun Kao ? Le Baan Aom Kod Kun Kao, situé dans le quartier de Suan Phueng, est un établissement très prisé des voyageurs. De là, les clients peuvent facilement se déplacer et profiter de tous les avantages offerts par cette ville dynamique. Non moins exceptionnelle est la facilité avec laquelle les clients de l'établissement peuvent se rendre auprès de la myriade d'attractions et de sites que compte la ville, dont Veneto Suanphueng, Baan Hom Tien Suan Phung, Ferme ovine Newland. Le Baan Aom Kod Kun Kao dispose de nombreux équipements pour rendre votre séjour à Ratchaburi encore plus enrichissant. Afin d'assurer un confort optimal à ses clients, l'établissement propose, entre autres, WiFi gratuit dans toutes les chambres, parking, service en chambre, chambre familiale, restaurant. Toutes les chambres ont été conçues pour le plus grand confort des hôtes. La plupart d'entre elles disposent même d'une gamme d'équipements tels que télévision écran plat, internet sans fil (gratuit), chambres non-fumeurs, climatisation, mini-bar, et bien plus encore, qui satisferont les clients les plus exigeants. Les installations récréatives de l'établissement, qui comprennent piscine extérieure, massage, piscine pour enfants, équitation, jardin, assurent aux hôtes un sentiment d'évasion et de détente total. Découvrez le superbe mariage entre un service impeccable et une belle gamme d'équipements au Baan Aom Kod Kun Kao. suanf pueng now has many resorts but to me after review from website then feel baan aom kod kun kao is ranking in top 5. and when reach there then feel it is better than what i see from website. even i stay there one night but feel very relax and next trip i am thinking about to re-visit this place again but move to other room type which use different color tone. The resort is very nice and clean. The food at the resort is so delicious. We will come back again next time. We stay in standard room for 2 nights. 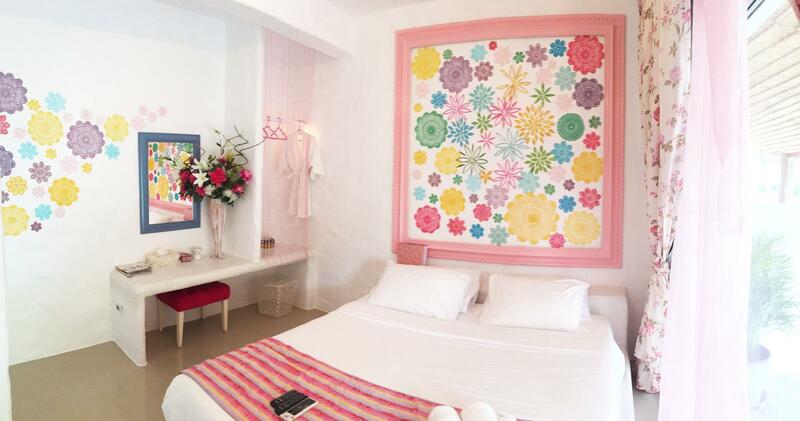 the room decoration is cool with specific color theme for each room. We got Purple as our room name is " An-Chan ( a purple color flower ). Next room to us is in Black them as it name " Ratee ( night ) ". I like their swimming pool , a small but less user. Breakfast is big enough but the same for 2 days. We reached there in the evening. The location is pretty far from the city. Staffs were very welcome with an energize welcome drink. We had a romantic dinner in the rooftop of our room, Rak Rak, under the sky and big hug from mountains. At night, there was a lot of bugs outside the room and some came in, I got an allergic from them and I found that water heater didn't work at midnight and I forgot to tell a staff when I was check-out. In the morning, we could have a deep breath with Oven, a Golden dog, walking around the garden and saw a long sight to mountains. It rained at in late morning and all day in the season. Don't forget to bring more cloths to make sure that you'll have them enough for this trip. The room design is fantastic. We like the room and the most is the jaccuzi like bath tub! The location of the resort is ideal to visit the hot spots in Suan Pheung. Not far from the famous scenery farm. The staffs there are very nice and helpful. Special thanks to Ms Tob, she speaks English well and with her help, we minimized the miscommunication as most of the staffs can't really understand English very well. Overall, a great stay in the resort with wonderful view of the resort! The most striking thing that impressed us was the room itself. We stayed in a standard villa. We like the nostalgic decoration, the spacious bathroom with large bath tub, the dining area on the rooftop. The atmosphere was so perfect. Breakfast was good. The swimming pool was OK. The resort area was quite beautiful. Nice room with standing shower only, large bathroom and like the room decore, bed was not bad, wireless access in the room was week but in the patio was great, pathio had a table and couple of chars to sit and relax, pool was close by and very refereshing. The room design is fantastic. 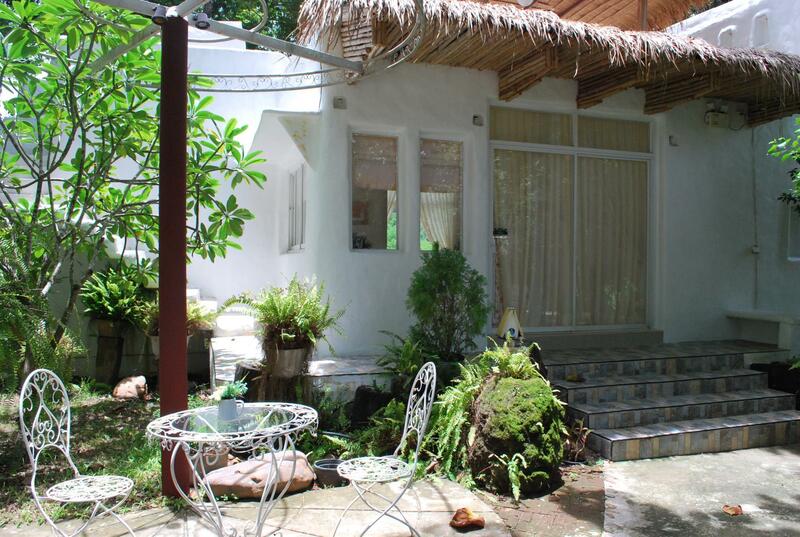 The location of the resort is ideal to visit the hot spots in Suan Pheung. Not far from the famous scenery farm. The staffs there are very nice and helpful. We were there with bigger children and it was their policy that we have extra bed which cramped the room too the point that we stepped over one another. Also it is extremely dangerous to drive out of the place for it is situated at the head of a curve and the top of a hill. Sign should be provided. Its a very warm and cozy hotel with very unique and romantic design. The location is pretty good given you need a car to get around everywhere anyways. 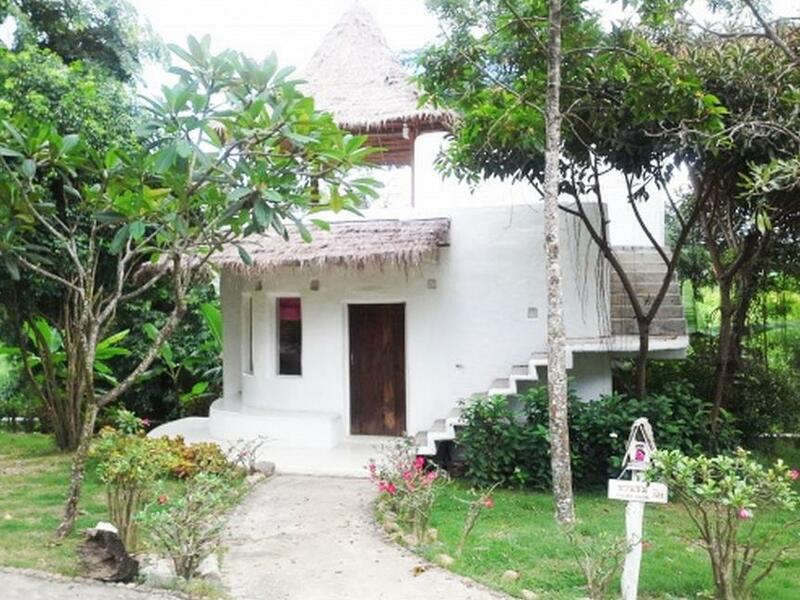 It is near many attractions such as the candle house, scenery, and orchid farm. If I were to go Suan Phung again I would probably book this place again because each rooms are different and I think it would be pretty fun to explore the different rooms that they have to offer. The hotel has a quite nice lanscape with unique room layout. One of the rooms we saw was like staying in a cave which would give romantic experience. The staff is very friendly and helpful. Food at the hotel restaurant could use some improvement though the after-meal desserts are very delicious. The water tap over the sink in the bathroom should be placed lower to prevent water-splahing out of the sink. we stayed at this hotel a few years ago and it was nice. now the rooms are showing a fair amount of wear. staff were friendly but didn't speak english. in fact the check in form was only in thai. if you don't understand at least a little thai you will have a hard time at this resort. The staff here are really friendly and are always there to send you to your rooms via golf carts whenever you need them. 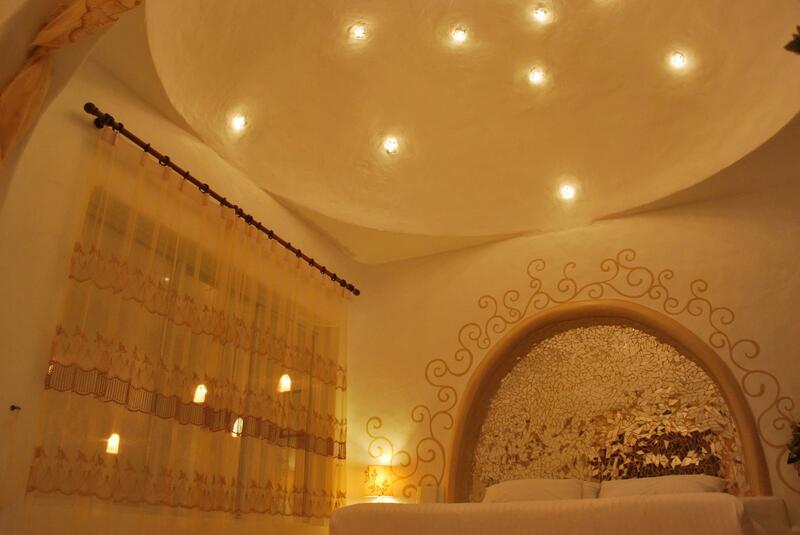 The designs of the rooms are quite conducive for a romantic night with your love one! Room designed , location and services.